The upgraded Black Max™ low profile baitcast combo from Abu Garcia is engineered with class-leading performance in a compact, lightweight design. A graphite frame and body, along with the compact bent handle and drag star, provide a more ergonomic feel for all-day fishing sessions. The result is proven value and reliability that anglers have come to expect from this series. The upgraded Black Max™ low profile baitcast combo from Abu Garcia is engineered with class-leading performance in a compact, lightweight design. A graphite frame and body, along with the compact bent handle and drag star, provide a more ergonomic feel for all-day fishing sessions. The result is proven value and reliability that anglers have come to expect from this series. 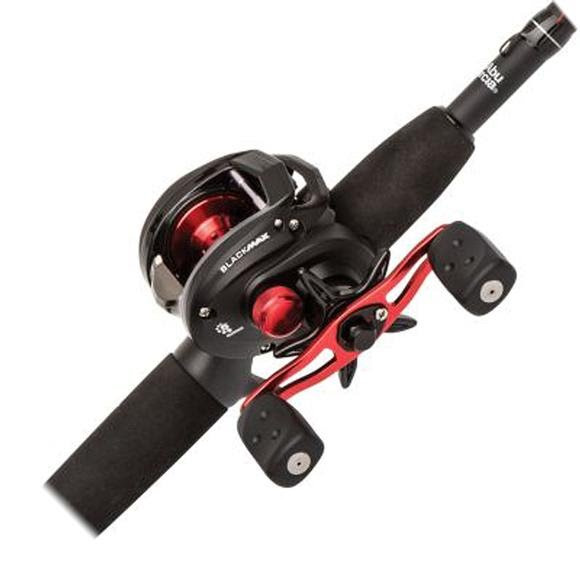 The combo features a 24 Ton graphite rod that utilizes stainless steel guides with Titanium oxide inserts.